Christy and I have been a little busy and when that happens this blog is always the first to suffer. Not sure why that is, but we apologize and hope our readers don’t give up on us. All comments have now been approved and replies posted. Sorry for the wait! Okay, we have some news about Beloved Woman but first we’d like to thank everyone for their patience. We are working on Beloved Woman (in between book festivals!) and as we wrote this phase of Aunt Bessie’s life the focus of the story changed quite a bit so…while the title remains the same, we’ll be changing the cover (again!) and–here comes the sitting down part–there will be a fourth book in the series. No title yet but we plan to use the cover for Beloved Woman because the fourth book will deal with what we thought the theme for Beloved Woman would be. Does that make sense? Probably not, my mind is a little frazzled right now! We’ll do our best to explain why we made the change when Beloved Woman is released later this year but until then we’re not talking because we don’t won’t to give away any spoilers. Oh, boy, I really hated putting that red X over one of my favorite pictures but it had to be done and I assure you, no pictures or characters were harmed in the process–they were only moved forward in time and saved for the fourth, and probably final (but we’re not making any promises! 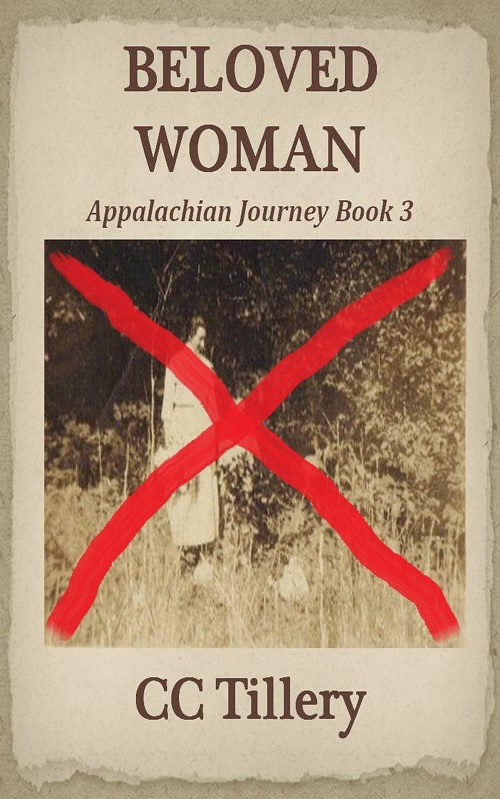 ), book in the Appalachian Journey series. Thanks so much, Carol. What a lovely thing to say but don’t encourage us too much, we both have a touch of perfectionism in us and that leads to slower writing but we’re anxious to get Beloved Woman finished and start on the next! Thanks again! Well I, for one, am thrilled there will be a fourth book. You said #3 will be out later this year and since it’s already mid October that means we won’t have to wait too much longer. Yay!!!!!! Love you guys. Hi, Linda! We’re getting close so hopefully it won’t be much longer at all. Thanks for your lovely comment! Love you, too! Thanks so much, Angie. It’s nice to know our readers are behind us on this!